Anyone turning on the TV, surfing the web, or driving by myriads of billboards will have noticed the vast amount of advertisements for real estate projects in Pakistan. The sale and development of real estate dominates the marketing and advertising landscape of Pakistan. 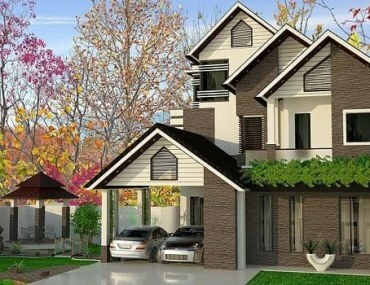 In particular, there is an exponential growth in the sale of units in under construction real estate projects throughout Pakistan, and the methods by which they are being sold. It is no longer a question of selling plots of land, developers are now selling dreams and lifestyles. We are building the most incredible new projects with sprawling infrastructure and immaculately designed properties. There is a new level of sophistication in the marketing and scale of property, which reflects demand as the Pakistani homeowner becomes more discerning. However, there is still plenty of room for improvement. There is still an apprehension that investing in Pakistan is risky. Despite strong domestic demand, Pakistan currently ranks 121st out of 127 countries ranked in the International Property Rights Index (the UAE is 21st). Also, Pakistan is ranked as having Low Transparency and has an overall rank of 88 in Jones Lang Lasalle’s Global Real Estate Transparency Index. What are the reasons for these rankings? 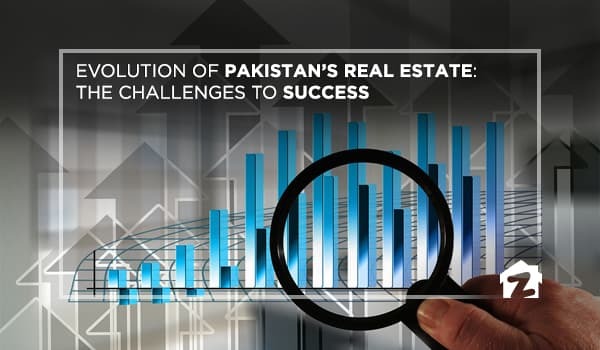 Firstly, the negative perception of Pakistan brought about as a result of the prevailing geo-political and security situation affects Pakistan in many areas, with real estate being no exception. But that does not fully explain such a low rating, especially as the security situation has improved immeasurably over the last 5 years, and it is apparent that other factors prevail. Pakistan, unlike many regional markets, is not a well-regulated market, and does not offer sufficient legal protection for investors. This is an important consideration, particularly for foreign investors (including overseas Pakistanis). Over 30% of the traffic on the Zameen.com is from overseas Pakistanis looking to invest in Pakistan. Ultimately, the decision whether such customers invest or not would depend on whether their investment is safe – relying solely on patriotic fervour is not a winning strategy. The Pakistani market will remain flawed if it continues to shun introducing investor protection regulations because all investors now expect their interests to be protected by law, just like in other markets like Dubai, India, and Malaysia. Over the last 5 years, there has been a steady stream of regulations issued by the Government of Pakistan (see below) and local authorities such as Lahore Development Authority (LDA) to protect investors and regulate the market. The LDA has issued detailed rules regarding the approval of private housing societies. LDA is a municipal authority that it is empowered to enforce planning and development rules – not act as a real estate regulator. Also, the FBR has issued advice to investors on how to invest safely. These initiatives are laudable and a significant improvement, but interventions of this nature, which are a direct result of previous scandals and fraud, are reactionary and do not go far enough. They will not address delays or abandonment of projects and cannot fully ensure that the investor’s stakes are protected. Instead of relying on well-intentioned location-specific ad-hoc regulation and non-binding advice, we need federal and provincial real estate regulators with wide ranging powers both to protect investors and streamline the approval process for developers and minimise red-tape. The Government of Pakistan is moving in this direction by passing Section 456 of the Companies Act 2017, which includes opening of escrow accounts and regulatory oversight (through the SECP). This is an encouraging start – but it is not the solution. 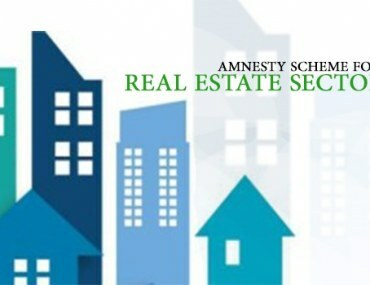 The solution lies in industry-led reform with a regulatory authority which includes real estate professionals and not, with all due respect the SECP, SBP, and municipal authorities to act as real estate regulators. I would suggest the following steps, as a minimum, in order of priority and practicality. Establish an industry regulator (both on provincial and federal levels) with widespread powers to issue and implement rules, hear complaints and regulate the overall market. All projects and developers should be registered with the regulator for transparency and compliance. Deposit all investor monies into escrow accounts managed by approved financial institutions to be utilized solely for project development. Streamlining approvals for developers to create a better development and planning regime. New survey regulations which provides clarity on how property is located, measured and purchased. Regulating real estate brokers in order to uplift the profession and prevent corrupt and unfair practices. Wholesale reform and implementation of a computerised and GPS-based land title registration system. The biggest impediment to any real estate market is uncertainty and that will remain unless land records have been scrutinised and reformed in accordance with international standards. The rules regarding land acquisition and ownership needs to be codified and enforced by the real estate regulator. It simply should not happen that a huge development can be built in the largest city in the country and the highest court in the land subsequently rules that the acquisition of the land on which it is built is null and void. These reforms may be implemented in a staggered manner – start with Gwadar and Islamabad real estate projects. This way we can see what will work and is appropriate for the Pakistan market, before rolling out effective regulations to the rest of the country. It is because of sensible market-driven reforms that other emerging markets have been able to elevate their industry, resulting in an increase in local and international demand. Nowhere is this more evident than in Dubai, which has been transformed into a globally recognised property hub. India, with a population of over 1.2 billion, is an even more appropriate example as it has a legal system and constitution very similar to ours. India passed the Real Estate (Regulation & Development) Act 2016, which contains similar provisions to what is outlined above including the establishment of a Central and State Government real estate regulator. The Pakistani investor deserves the same level of protection that other investors have in other markets. Developers should develop, sell, and market property on the basis of established rules and not be blindsided by arbitrary and ad-hoc decisions made by multiple, often competing, government entities. If we implement reforms of this nature, we will create world-class regulatory regime to compliment the world class real estate projects that are being developed throughout Pakistan. The Pakistan real estate market is evolving and in order for us to reach the next level it is essential to build the legal foundations that are required to support the weight of future investment. 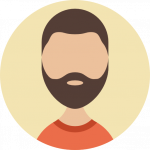 A. Arsalan Shaikh is a US qualified real estate development lawyer based in the UAE who has worked previously in Pakistan and the United Kingdom. Does Pakistan need another amnesty scheme along Indonesian lines? 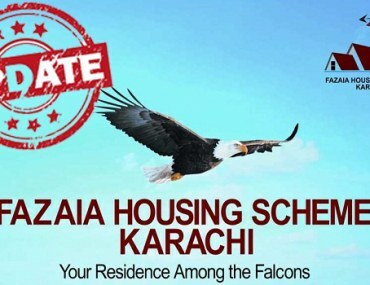 Where is Fazaia Housing Scheme Karachi headed?